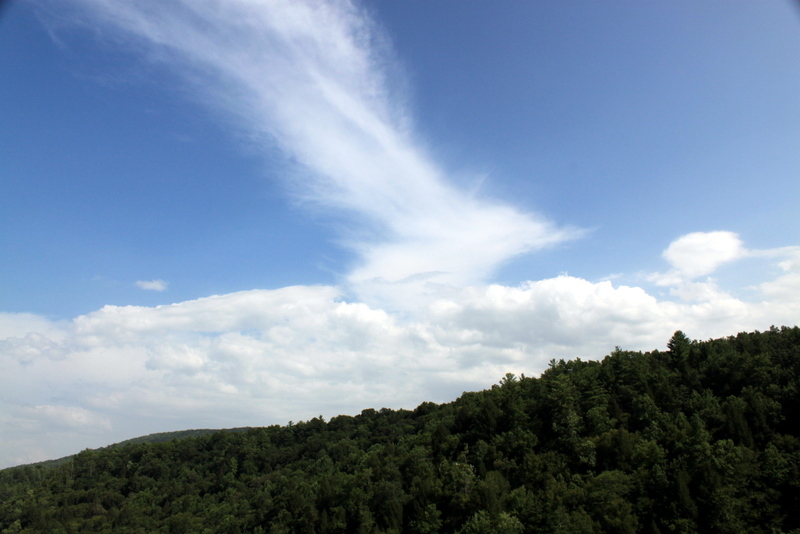 Skies above Clear Creek, Tennessee. July 25, 2010. 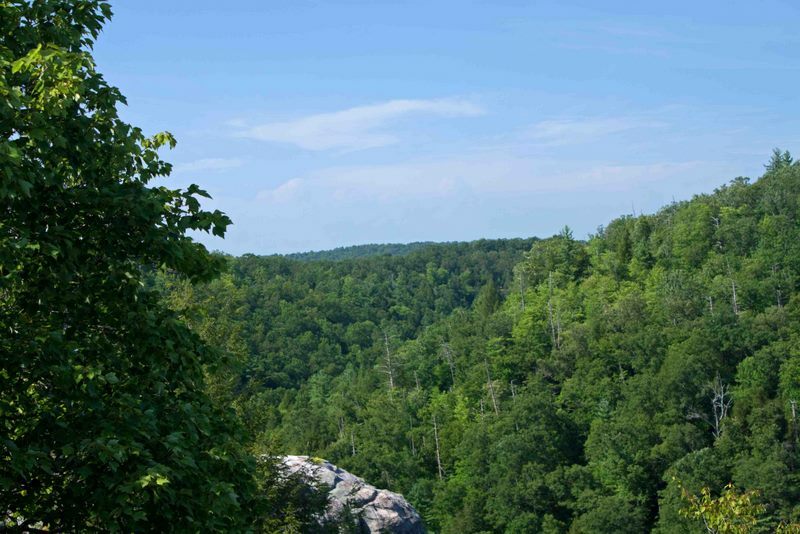 This past Sunday Betsy and I went to the Obed Wild and Scenic River northeast of the Glade, It was a beautiful day with blue skies and white clouds skimming the mountain tops. At times it appeared that the valley on the other side of the ridge was under cloudy skies, but we never lost all that beautiful blue. Betsy and I went to Niagara Falls in 2002. We stayed on the Canadian side of the border, and in addition to visiting the falls we also visited some of the historical sites in the area. Fort Erie is across the Niagara River from Buffalo, New York. It was part of the British fortification system along the river and served as a British supply base during the War of 1812. 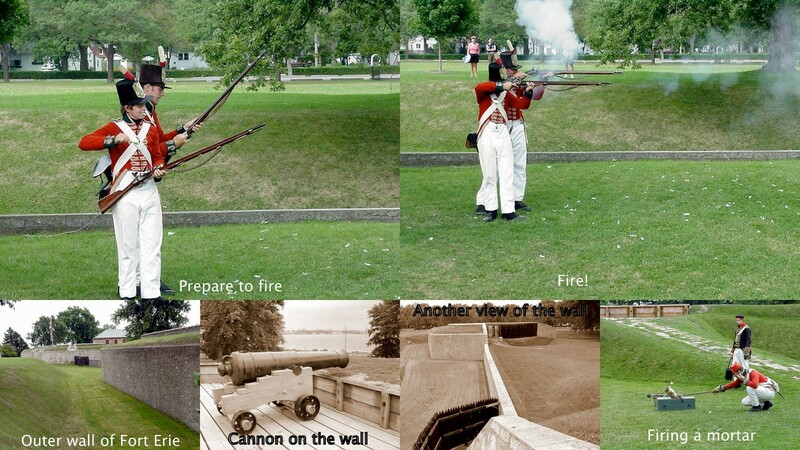 During that war the Americans captured Fort Erie twice, but withdrew back across the river each time. When the Americans abandoned the fort the second time they destroyed it, but the fort was rebuilt by the British after the war. 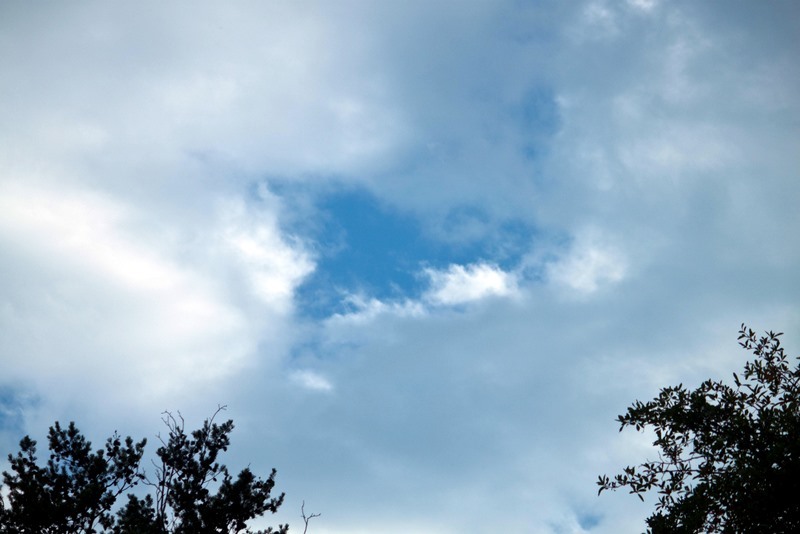 A most unusual event occurred in the Glade yesterday afternoon — it rained. It’s been several weeks since we’ve had a good rain fall. As I write this over an inch of rain has fallen since it started. Our lawn may actually turn green again. White water rafting on the Nantahala River, North Carolina. May 30, 2009. I posted a similar picture on Photos by Senior Hiker a couple of days ago, but it’s still hot here on the Plateau and the subject is appropriate for Watery Wednesday, so you’re getting another picture. I shot this on the Nantahala River in North Carolina in May, 2009. 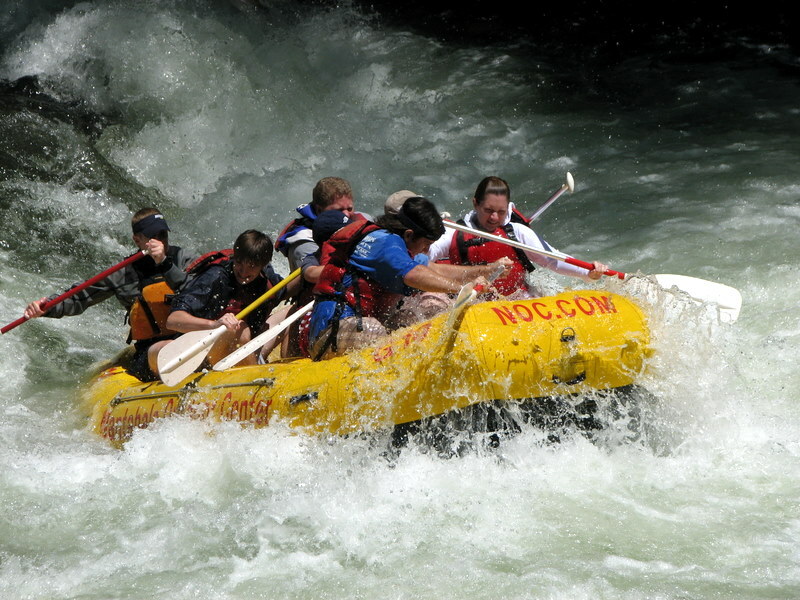 The Nantahala is very popular for white-water rafting. I took this photo at the end of the run through the final rapid in the river. I’ll bet not a single person in this raft was complaining about the heat! 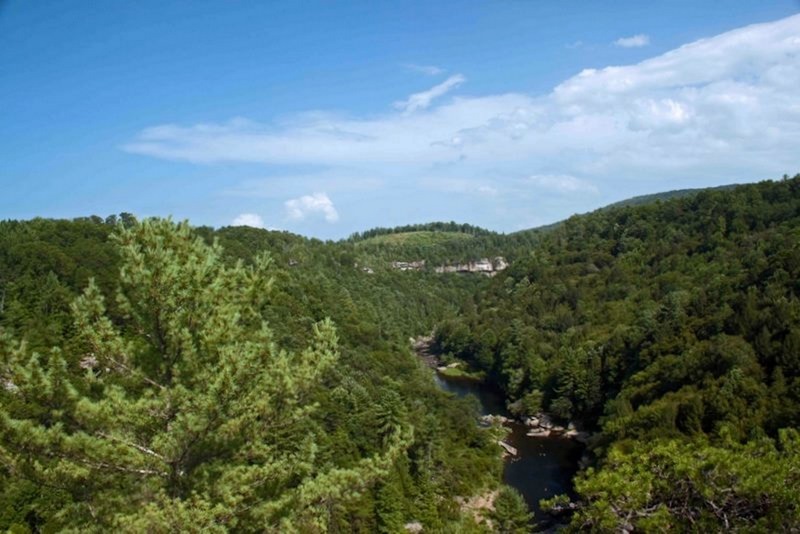 Clear Creek Gorge in Obed Wild and Scenic River Park, Tennessee. July 25, 2010. Sunday afternoon Betsy and I drove northeast of the Glade to visit the Obed Wild and Scenic River. This is a relatively new addition to the National Park system (1976) and contains one of the few pristine areas in this part of the country. The rugged and inhospitable terrain has limited settlements and land usage and there are few roads in the park. The trail from the parking area to the overlook. July 25, 2010. 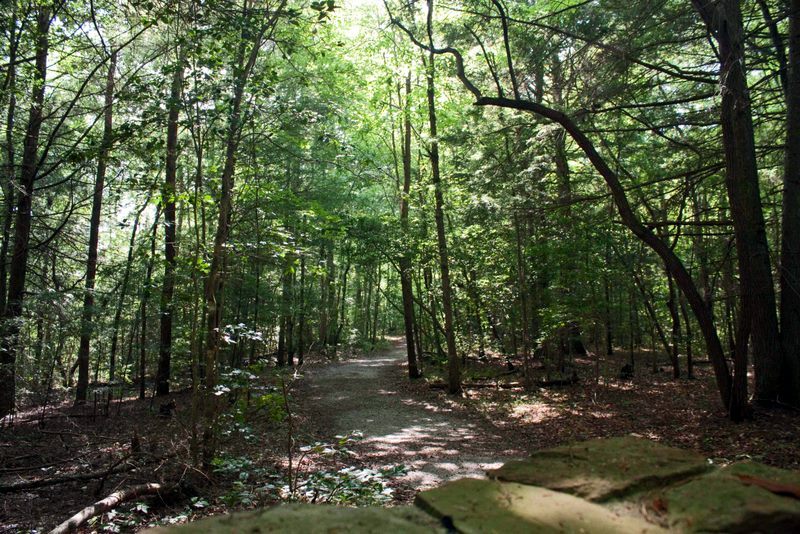 There is an overlook along one of few the roads through the park. We’ve hiked to the overlook before, but Sunday we drove to a parking area along the top of a bluff and then hiked a short distance along a well-maintained trail to the overlook. Clear Creek Gorge, July 25, 2010. At the overlook we could look down on Clear Creek (one of the tributaries of the Obed River) as it flowed through its gorge. There wasn’t a lot of water in the creek, but we could see people swimming in pools far below us. Sunday was another beautiful, but hot, day here on the Plateau. But it was a great day for visiting a beautiful part of our world. 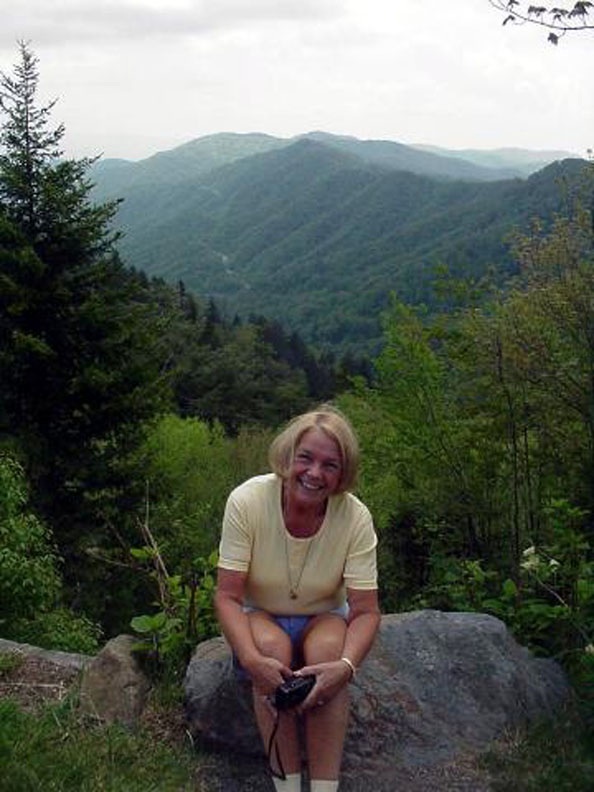 Betsy at Newfound Gap, Great Smoky Mountains National Park, Tennessee. May 19, 2001. The main road across the Smokies between Gatlinburg, Tennessee and Cherokee, Noth Carolina, runs through Newfound Gap. You can see the road in the background of the picture above. The road contains many overlooks which offer spectacular views of the mountains and valleys. I took this picture in May of 2001, before Betsy and I were married. I realize I’m prejudiced, but I think the most spectacular sight in this scene is sitting on the rock in the foreground. The sky over Fairfield Glade has been interesting this week. 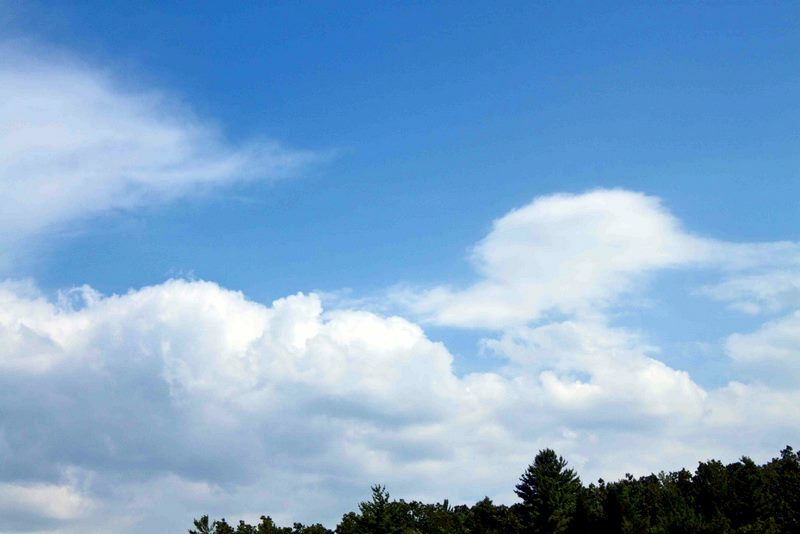 We desperately need some rain, but while there were clouds, that little opening of blue sky always seemed to win out. The clouds disappeared and any chance of rain went with them. Finally on a hot, humid afternoon we did get a brief shower. 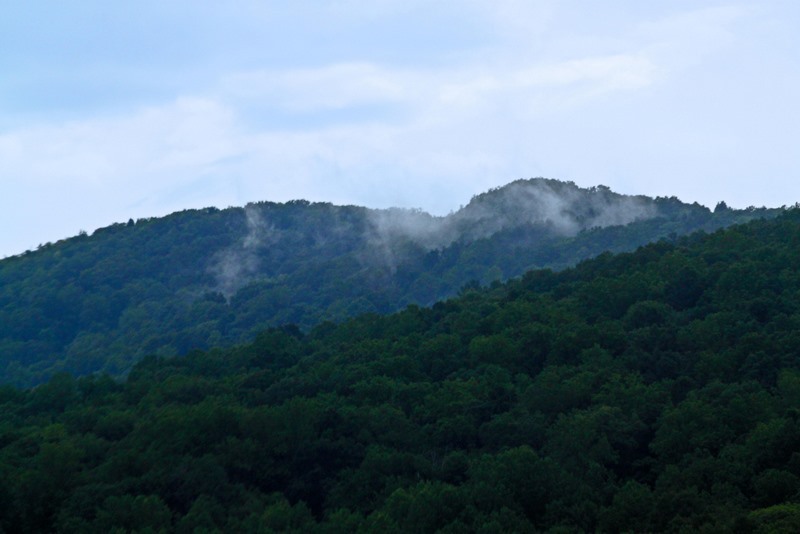 But once the rain ended, the skies cleared and the mist rose from the mountain tops. Last night the skies were clear with a nearly full moon looking down on the Glade. I was able to get this picture at 8:26 pm. Betsy got a laptop (MacBook) for her birthday last year, and really likes it. We got a Mi-Fi (Verizon wireless station) at the same time, so Betsy can use her laptop just about any place we can get a wireless signal. She especially likes using her laptop while I’m driving — she’s been able to do a good job of keeping up with emails and blogs while we’ve traveled. I’ve had an iPod Touch which has wireless capabilities for a little over a year, but since it’s about the size of a cellphone, my fat fingers have had trouble using the keyboard and navigating the web. I couldn’t keep up with Betsy and her laptop no matter how hard I tried. 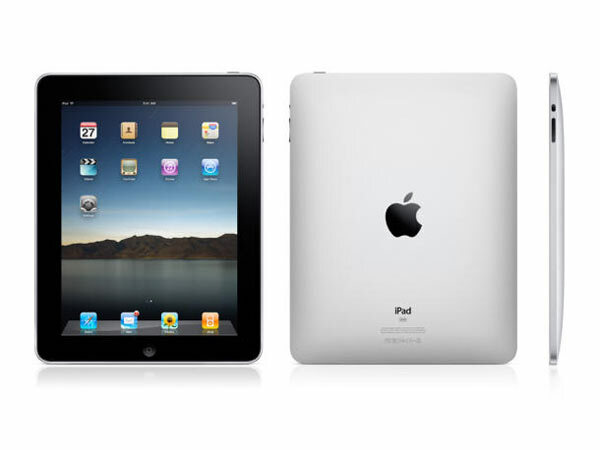 About a month ago I got a new toy — an iPad. It’s got a good size — about 9.5 inches x 7.5 inches. It is very light-weight and easy to carry around it is also wireless, so I can use it anyplace Betsy can use her laptop. I’ll admit it’s nice to be able to take it out on the deck and go through my emails and surf the web. The interface is a touch screen and is very easy to use. I can have multiple windows open in the browser and can easily switch between them. The keyboard in the landscape mode is fairly large and is a standard QWERTY layout. I haven’t had any problems with it. About the only problem I’ve had is getting Betsy to drive so I can use it while we’re on the road. 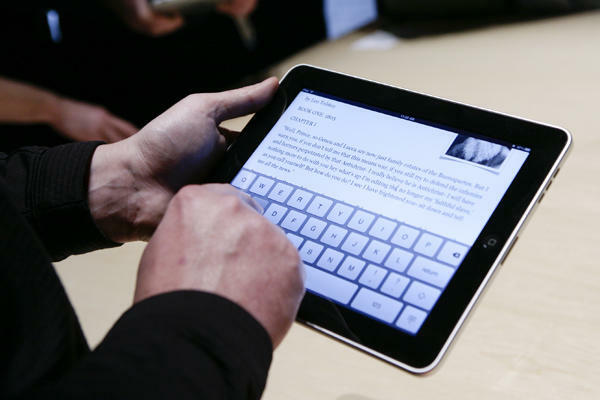 One thing the iPad can’t do is add more hours to the day. I’m going to Hendersonville this morning to see my parents and won’t be back until early evening. So I’ll be behind on my visiting and commenting for a couple of days. Don’t give up on me — I’ll catch up as soon as I can. Victoria Harbor, Hong Kong. June, 1987. Victoria Harbor in Hong Kong has been the busiest harbor in the world for many years. 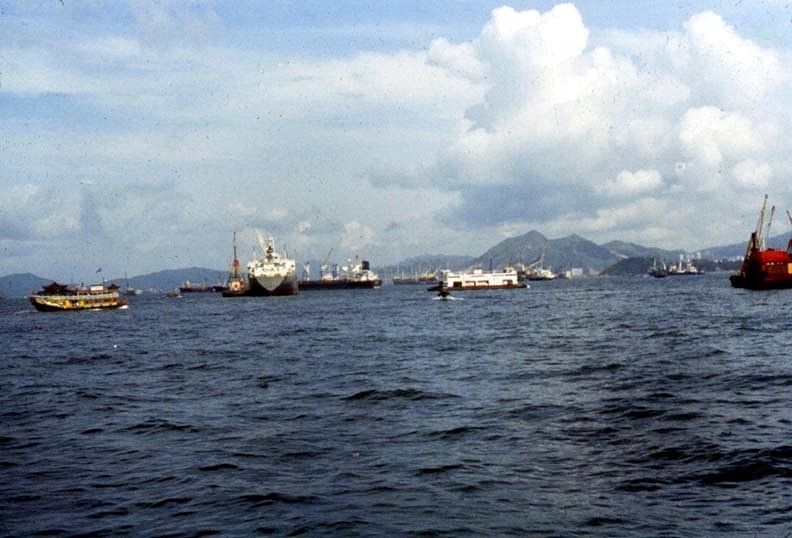 The picture of Victoria Harbor above was taken from a Star Ferry as we were crossing the harbor back in 1987. Grassy Cove is a pretty area south of Crossville. Our favorite back road south and east of our house takes us through the cove and we have often remarked about how pretty it is. So when we had the opportunity to take a driving exploration of Grassy Cove, we set off to see what we could see. Grassy Cove is a natural sinkhole and is one of the largest in the United States, measuring roughly 3 miles wide and 5 miles long. 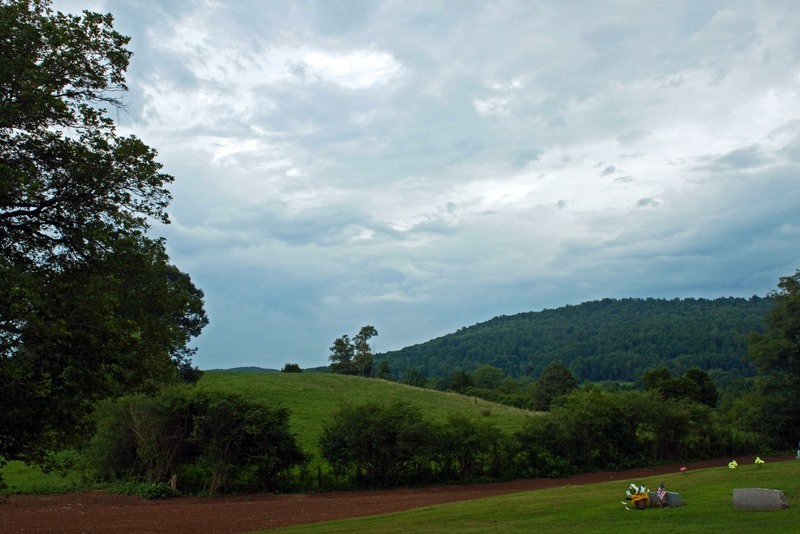 Grassy Cove is listed as a National Natural Landmark by the National Park Service. An old barn on a farm in Grassy Cove, Tennessee. July 18, 2010. 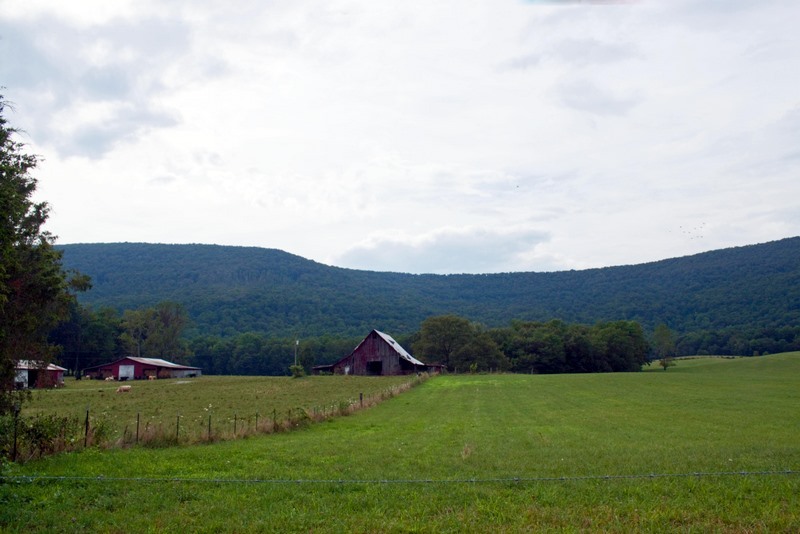 Grassy Cove is rural with many small farms. I like the old barn on this farm. The mountain and sky in the background is pretty neat as well. 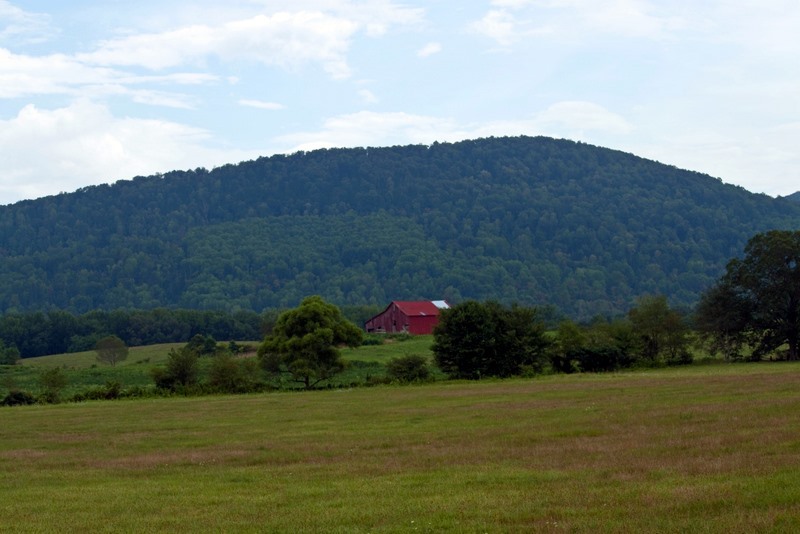 A mountain barn, Grassy Cove, Tennessee. July 18. 2010. We didn’t see a house around this barn, but even with the patched roof it presents a great picture of rural Tennessee. 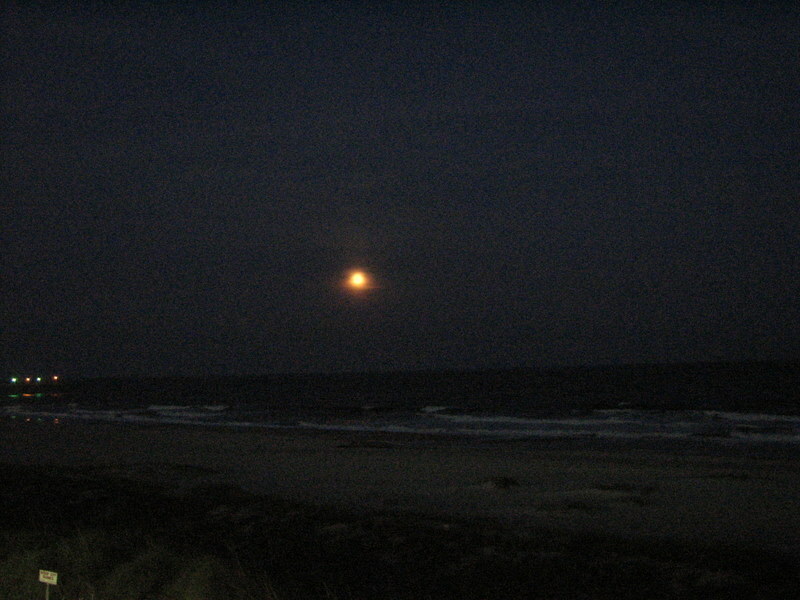 Moon over Ocean Isle Beach, North Carolina. May 8, 2009. Most people think of sea, sand and surf when they think of the beach. 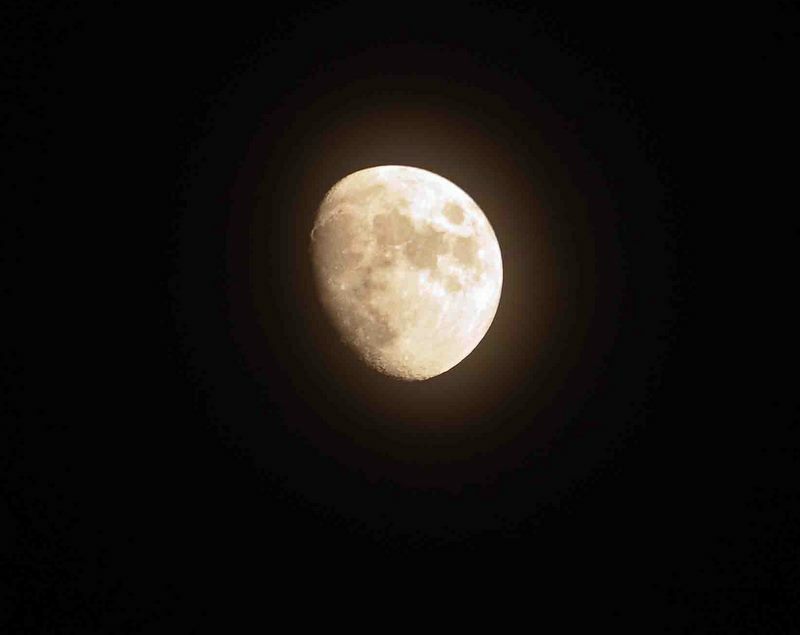 But when Betsy and I go to Ocean Isle Beach in North Carolina, if we’re lucky, we can think of surf, clear night skies, and a moon over the sea.